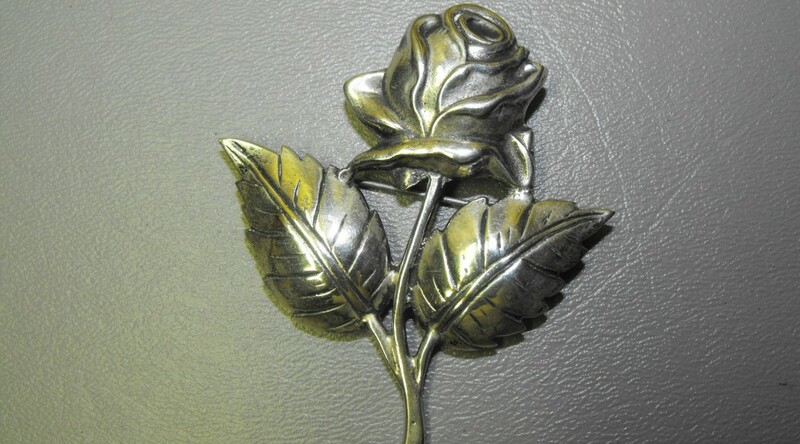 A ROSE IS A ROSE IS A ROSE, BUT SOMETIMES A ROSE IS IN STERLING SILVER ! 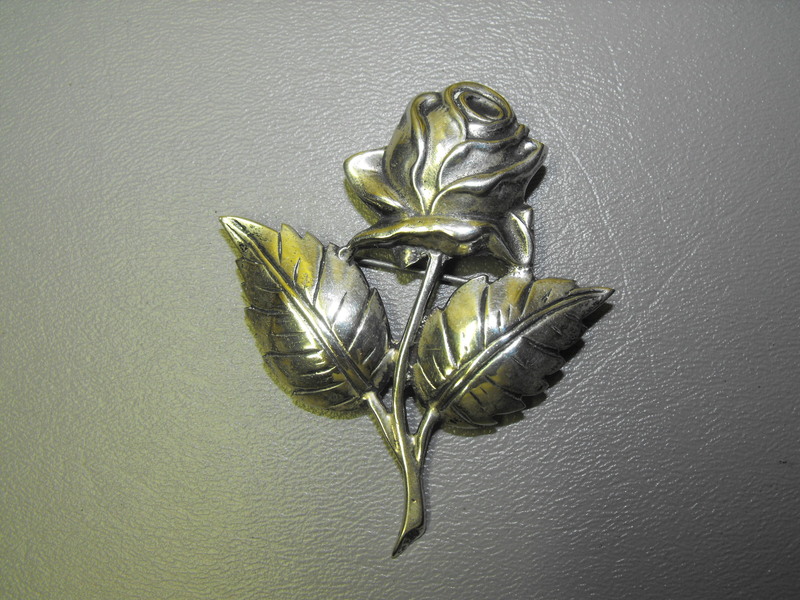 Presented here is a very elegant, very lovely Sterling Silver rose vintage pin…..circa 1950’s. 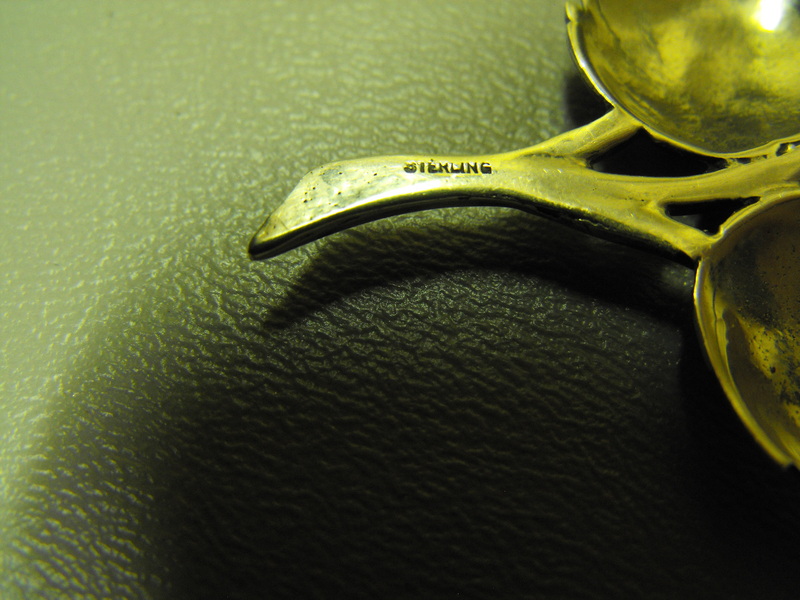 The pin is marked STERLING on the back stem. 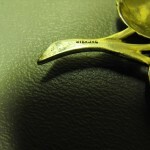 The detail is very fresh and vivid. 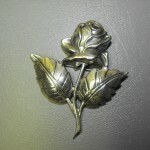 The rose is about 3″ tall and 2 1/4″ at its widest point. So…..make a statement that says you are wild about roses !